(verification and testing tools for gene regulatory networks) and SDV (C/C++ compiler, Windows device drivers, verification) projects. 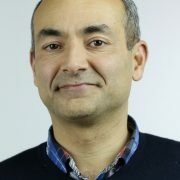 Samin joined Microsoft Research in April 2008. Before that, during 2000-2008, he worked in CPU modeling and verification at ARM, helping to tape-out the Cortex A8, Cortex M3 and SC300 processors, and the AMBA bus protocol checker. Samin has an MEng from Imperial and a PhD in dependent type theory from Queen Mary. The Ishtiaq-O’Hearn POPL’01 paper won the Most Influential POPL Paper Award for 2011. Samin was also one of the recipients of the CAV Award in 2016 on work that followed from that paper.